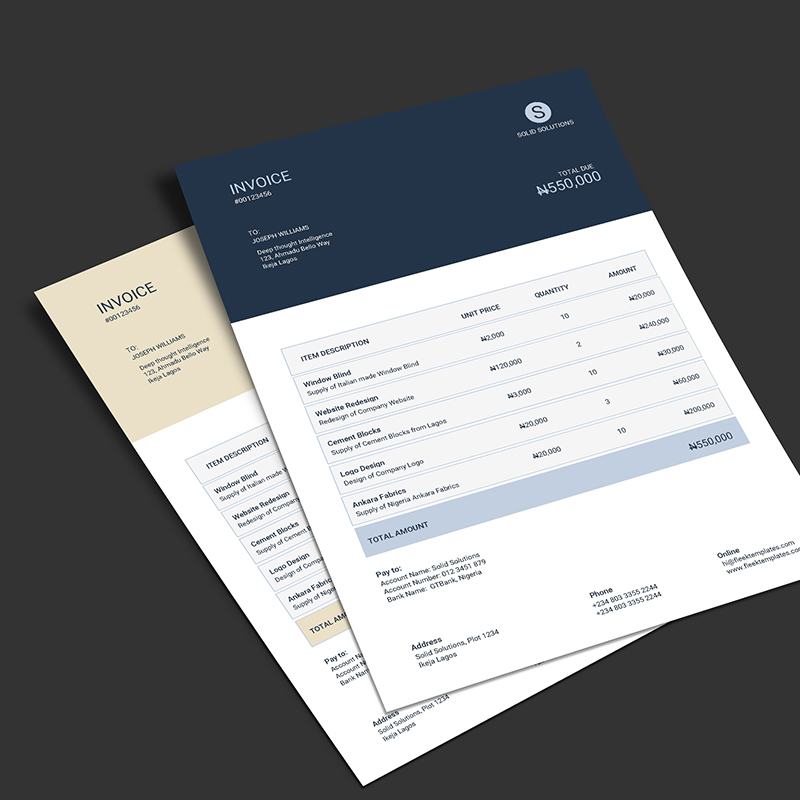 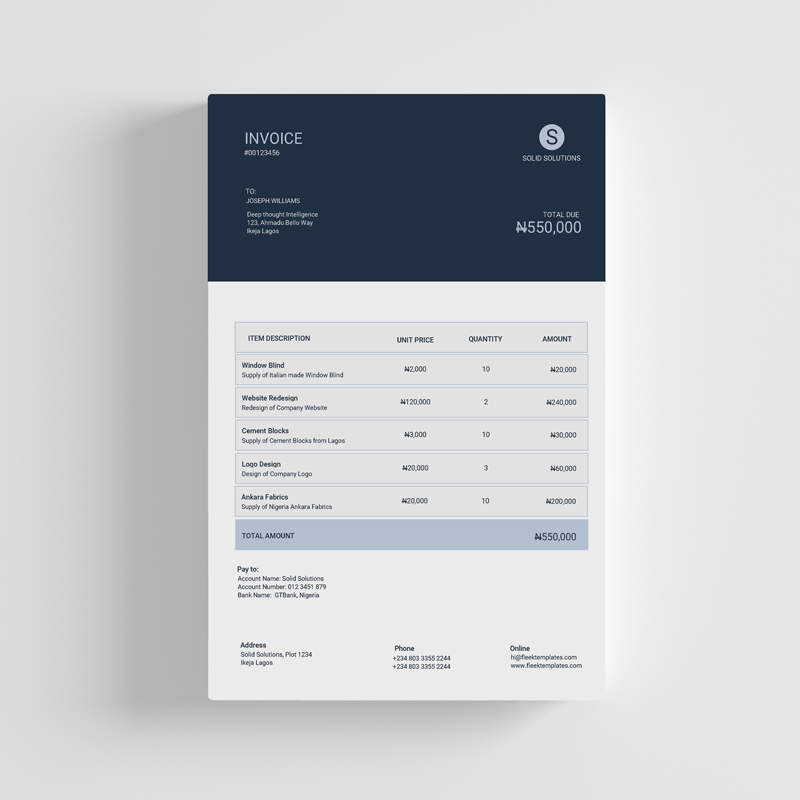 All cash flow starts with an invoice, and this accessible invoice template is one of the most basic you can find. 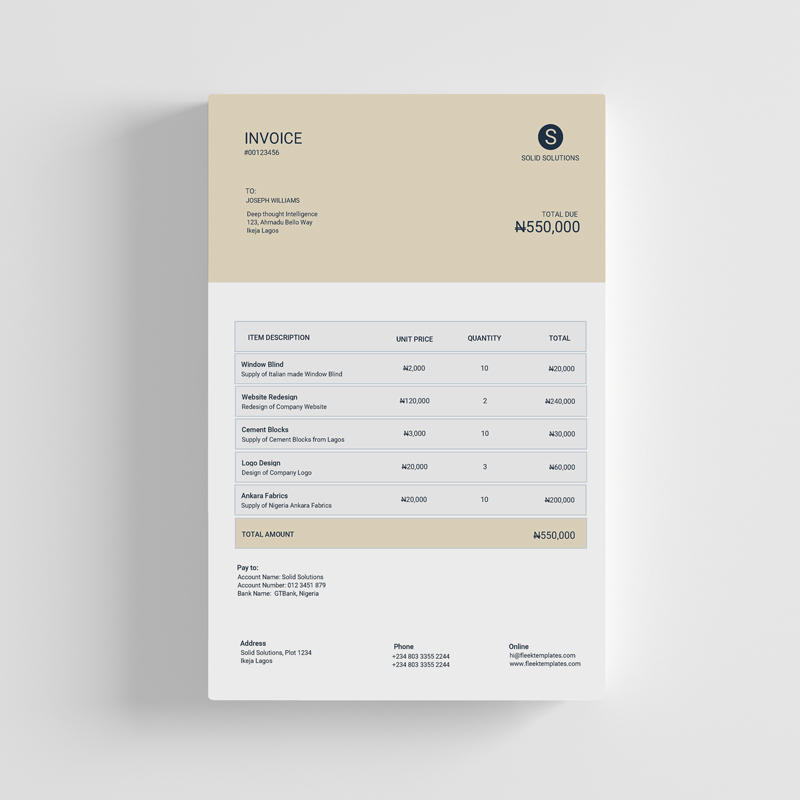 Customize it for your business to suit your needs. Available in Microsoft Word and comes in three different professional colors.